One of New Hampshire's top multi-sport athletes it has had in recent years will get an extra year to make his college choice, as Troy Pelletier will be doing a post-graduate year at Bridgton Academy in 2013-2014. Pelletier will play both football and basketball at Bridgton, and reclassify to the Class of 2014. "I wanted another a year to grow academically and athletically" Pelletier told the NH Notebook. "I wanted another year to improve my grades, study habits and SAT's. I also want to get bigger, faster and stronger." Bridgton is located in Maine and is a post-grad only school. While Pelletier will play both sports there and was a first team all-state selection in both, he has now decided which one he's looking to play in college. "I've been recruited more for football" Pelletier explained. "I told many basketball schools I am interested in playing football, and I do not plan on playing both in college. The schools want me to play wide receiver. I am mostly talking to UNH, UMaine, Lehigh, URI, Assumption, and Stonehill." 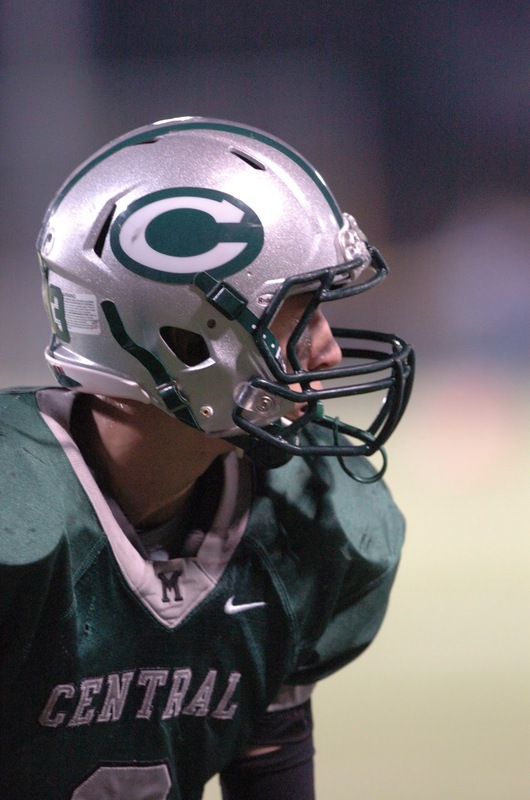 Pelletier is one of the regions's top WR prospects for the Class of 2014. He is 6-foot-3, has good speed, runs good routes, has good toughness and good hands. As Pelletier gets ready to graduate from Manchester Central High, he thinks back to his fondest memories from High School. "Beating Trinity in double-OT in the semis junior year" said Pelletier. "Also beating Salem in the qtr finals, that went to triple-OT."